Eugene Kaspersky, the founder of Kaspersky Lab, is a graduate of the KGB’s elite cryptology institute and was a software engineer for Soviet military intelligence. MADBURY, N.H. — The Kremlin hacked our presidential election, is waging a cyberwar against our NATO allies and is probing opportunities to use similar tactics against democracies worldwide. Why then are federal agencies, local and state governments and millions of Americans unwittingly inviting this threat into their cyber networks and secure spaces? That threat is posed by antivirus and security software products created by Kaspersky Lab, a Moscow-based company with extensive ties to Russian intelligence. To close this alarming national security vulnerability, I am advancing bipartisan legislation to prohibit the federal government from using Kaspersky Lab software. Kaspersky Lab insists that it has “no inappropriate ties with any government.” The company’s products, which are readily available at big-box American retailers, have more than 400 million users around the globe. And it provides security services to major government agencies, including the Department of State, the National Institutes of Health and, reportedly, the Department of Defense. But at a public hearing of the Senate Intelligence Committee in May, six top intelligence officials, including the heads of the F.B.I., C.I.A. and National Security Agency, were asked if they would be comfortable with Kaspersky Lab software on their agencies’ computers. Each answered with an unequivocal no. I cannot disclose the classified assessments that prompted the intelligence chiefs’ response. But it is unacceptable to ignore questions about Kaspersky Lab because the answers are shielded in classified materials. Fortunately, there is ample publicly available information to help Americans understand the reasons Congress has serious doubts about the company. 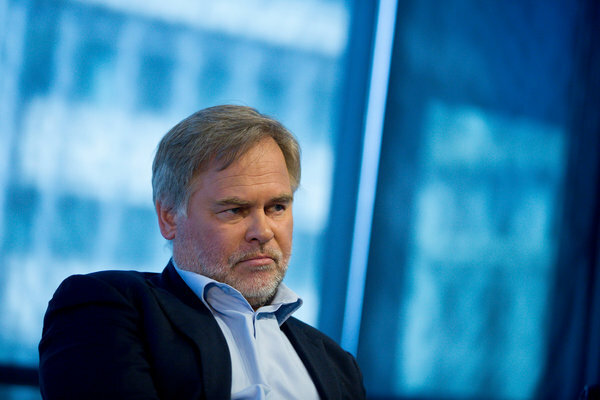 The firm’s billionaire founder, Eugene Kaspersky, graduated from the elite cryptology institute of the K.G.B., the Soviet Union’s main intelligence service, and was a software engineer for Soviet military intelligence. He vehemently dismisses concerns that his company assists Russia’s intelligence agencies with cyberespionage and claims that he is the target of Cold War-style conspiracy theories. But Kaspersky Lab has committed missteps that reveal the true nature of its work with Russia’s Federal Security Service, or F.S.B., a successor to the K.G.B. Bloomberg recently reported on emails from October 2009 in which Mr. Kaspersky directs his staff to work on a secret project “per a big request on the Lubyanka side,” a reference to the F.S.B.’s Moscow offices. The McClatchy news service uncovered records of the official certification of Kaspersky Lab by Russian military intelligence, which experts in this field call “persuasive public evidence” of the company’s links to the Russian government. The challenge to United States national security grew last year when the company launched a proprietary operating system designed for electrical grids, pipelines, telecommunications networks and other critical infrastructure. The Defense Intelligence Agency recently warned American companies that this software could enable Russian government hackers to shut down critical systems. The technical attributes of antivirus software amplify the dangers from Kaspersky Lab. Mr. Kaspersky might be correct when he says that his antivirus software does not contain a “backdoor”: code that deliberately allows access to vulnerable information. But a backdoor is not necessary. When a user installs Kaspersky Lab software, the company gets an all-access pass to every corner of a user’s computer network, including all applications, files and emails. And because Kaspersky’s servers are in Russia, sensitive United States data is constantly cycled through a hostile country. Under Russian laws and according to Kaspersky Lab’s certification by the F.S.B., the company is required to assist the spy agency in its operations, and the F.S.B. can assign agency officers to work at the company. Russian law requires telecommunications service providers such as Kaspersky Lab to install communications interception equipment that allows the F.S.B. to monitor all of a company’s data transmissions. The Senate Armed Services Committee in June adopted my measure to prohibit the Department of Defense from using Kaspersky Lab software, to limit fallout from what they fear is already a huge breach of national security data. When broad defense legislation comes before the Senate in the weeks ahead, they hope to amend it to ban Kaspersky software from all of the federal government. Americans were outraged by Russia’s interference in our presidential election, but a wider threat is Russia’s doctrine of hybrid warfare, which includes cybersabotage of critical American infrastructure from nuclear plants to electrical grids. Kaspersky Lab, with an active presence in millions of computer systems in the United States, is capable of playing a powerful role in such an assault. It’s time to put a stop to this threat to our national security. You do your own research and then decide if you would want Kaspersky software on your PC in your home. This entry was posted in Cyber Security, Data Breach, Encryption, Hacking, Security and tagged Antivirus, Kaspersky, Senate Intelligence. Bookmark the permalink.